T3 UK - 05.2019 » Download PDF magazines - Magazines Commumity! 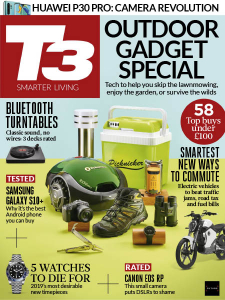 A T3 magazine download is essential for anyone who needs to keep updated on the world’s best gadget. Launched in 1996, T3 magazine is Britain’s best-selling monthly technology magazine. T3 magazine features stunning photography and a powerful blend of news, reviews and features to keep our readers bang up to date with the latest gadgets. Each monthly issue includes a full list of the latest boys' toys to come out, along with honest reviews of technological gadgets both new and old. Every reviewed gadget is given a rating, which allows readers to an honest and objective opinion before purchasing. EDITORIAL FEATURES: Showcase, Tfile, T3 Essentials (including Deluxe, Active, Style, Auto), Competitions, Reviews, Monster tests, Mini tests, How To, Buyer’s Guide, Installations and Entertainment features. 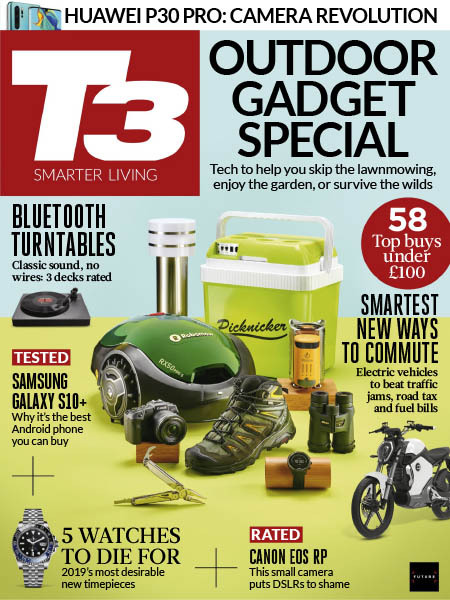 T3 magazine also covers lifestyle consumer products including cars, hi-fi, mobile phones, home entertainment, computing and gaming products and gadgets. A T3 magazine subscription is the perfect gift for the gadget – lover!